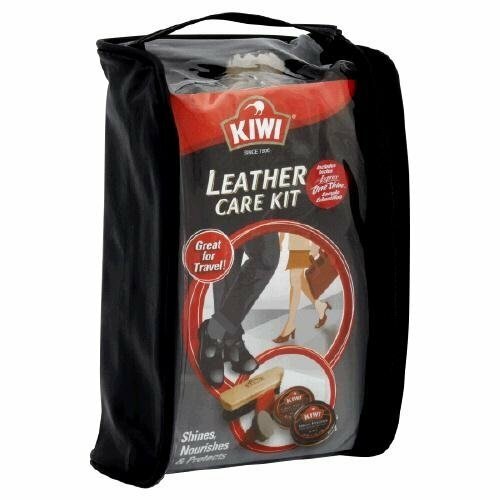 Kiwi® Leather Care Kit. SC Johnson. A Family CompanyGreat for travel!Shines, nourishes & protects Kiwi® leather care kit:2 Tins Kiwi® polish 1-1/8 oz (32g). 1 Black and 1 brown. 2 Kiwi® sponge applicators. 1 Kiwi® shine brush. 1 Kiwi® shine cloth.